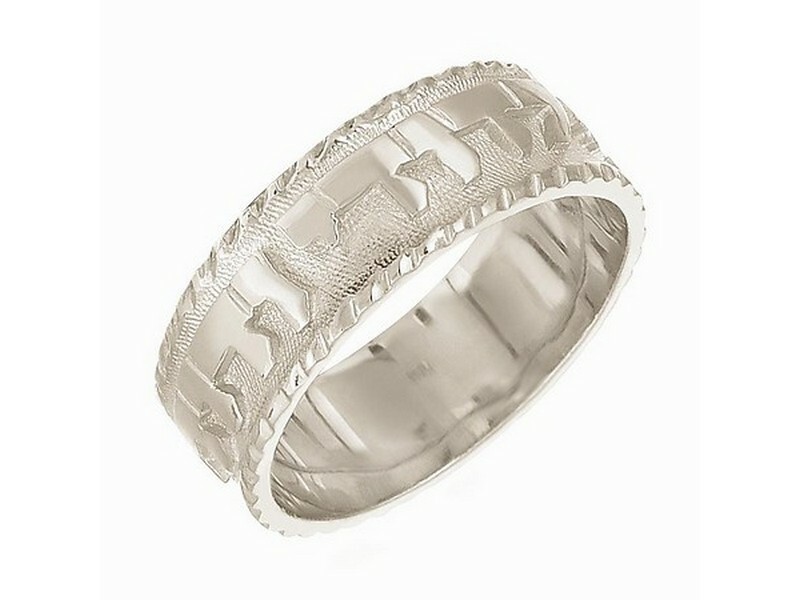 This sterling silver wedding band makes a beautiful statement with a reasonable price! Ring has a Florentine background and a rope design border. The words ‘Ani l’dodi v’dodi li’ meaning ‘I am to my beloved and my beloved is mine’ are written on the ring with slightly raised lettering. Wedding ring is suitable for both bride and groom.